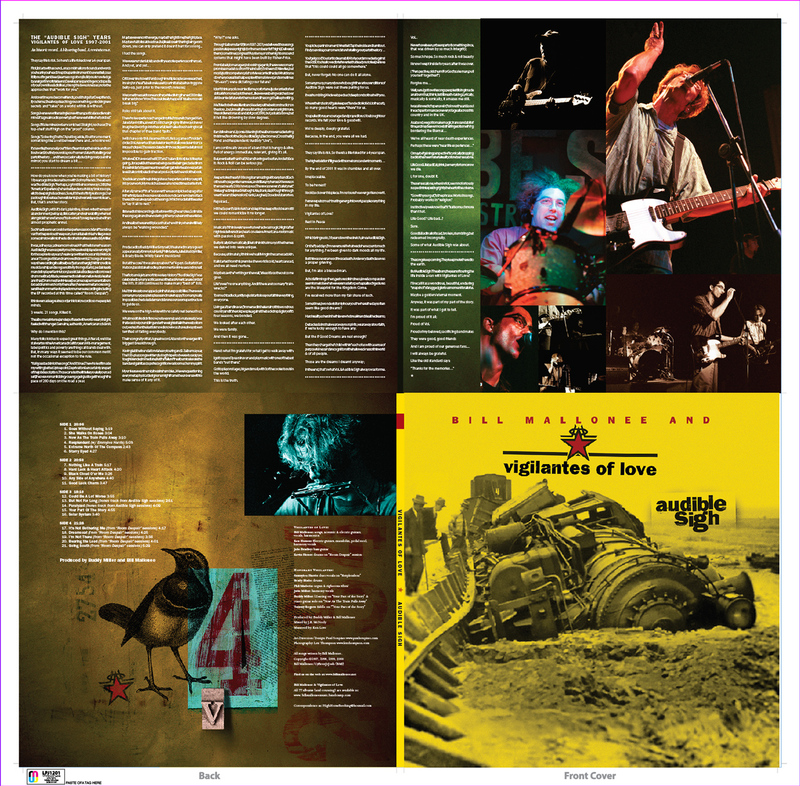 “Quite possibly one of the best Americana records of the 90’s. 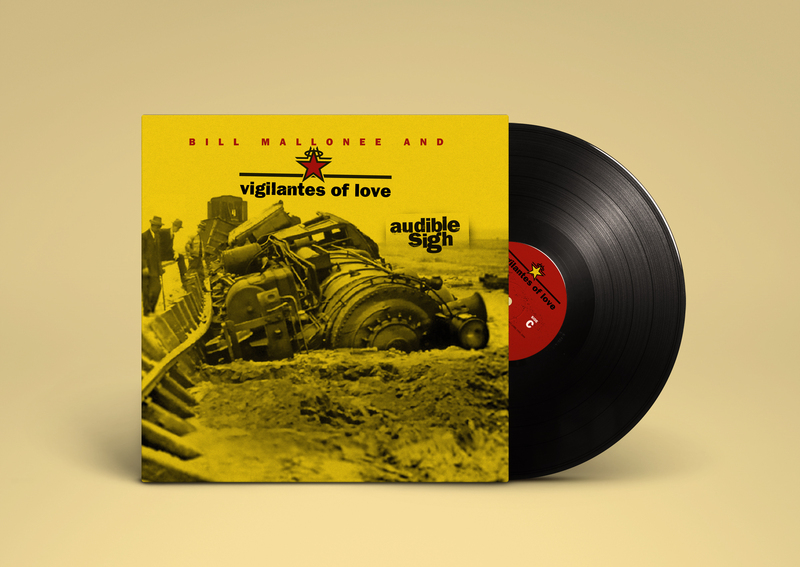 Earlier this year, Bill Mallonee of Americana legends Vigilantes of Love (VoL) set up a Kickstarter campaign toward the release of what was arguably their most celebrated album, Audible Sigh, as a 180g vinyl reissue. 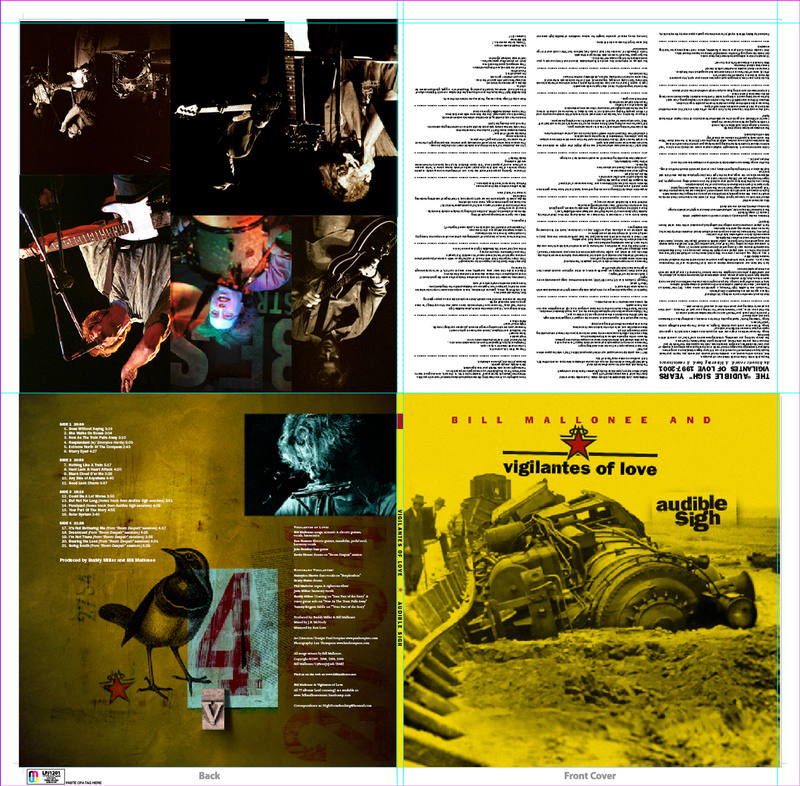 The campaign created a limited edition of 200 copies of the album that Paste included in their 50 Best Alt Country Albums of All Times. 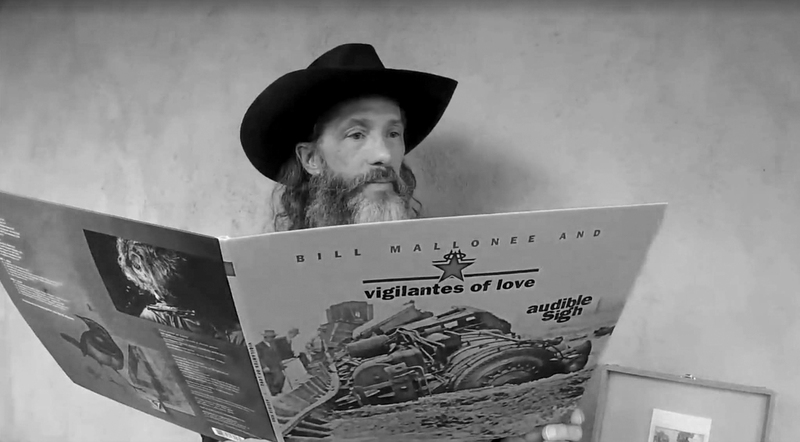 Produced by Buddy Miller, and featuring appearances by Nashville greats Emmylou Harris, Brady Blade, Phil Madeira, Buddy and Julie Miller. 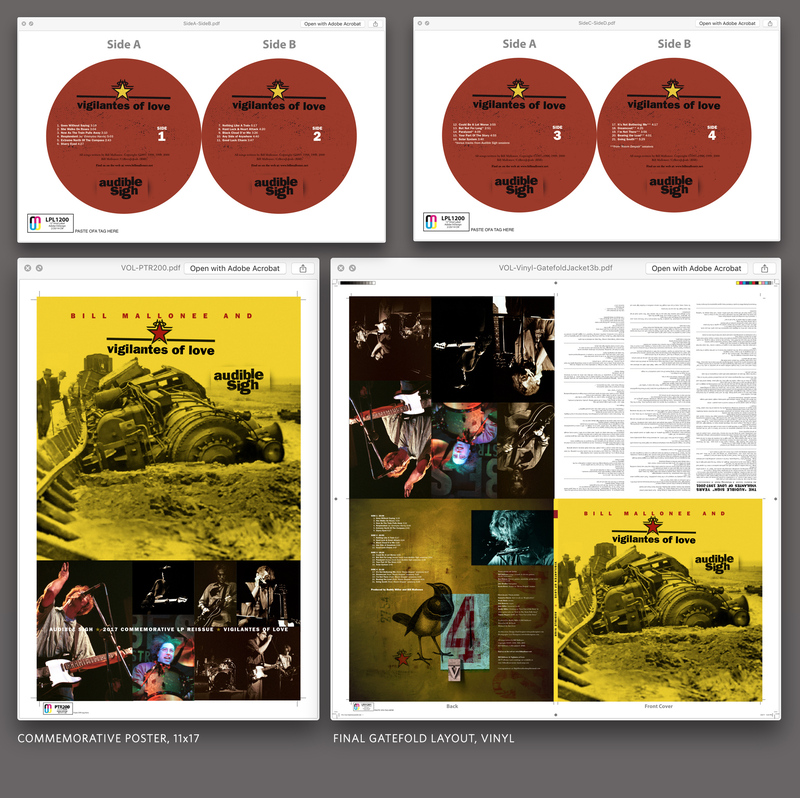 My task was to re-create the iconic Audible Sigh album cover I had first designed in 1999 when Rhythm House Records was my client. No digital files existed in archives, at least according to the original agency. 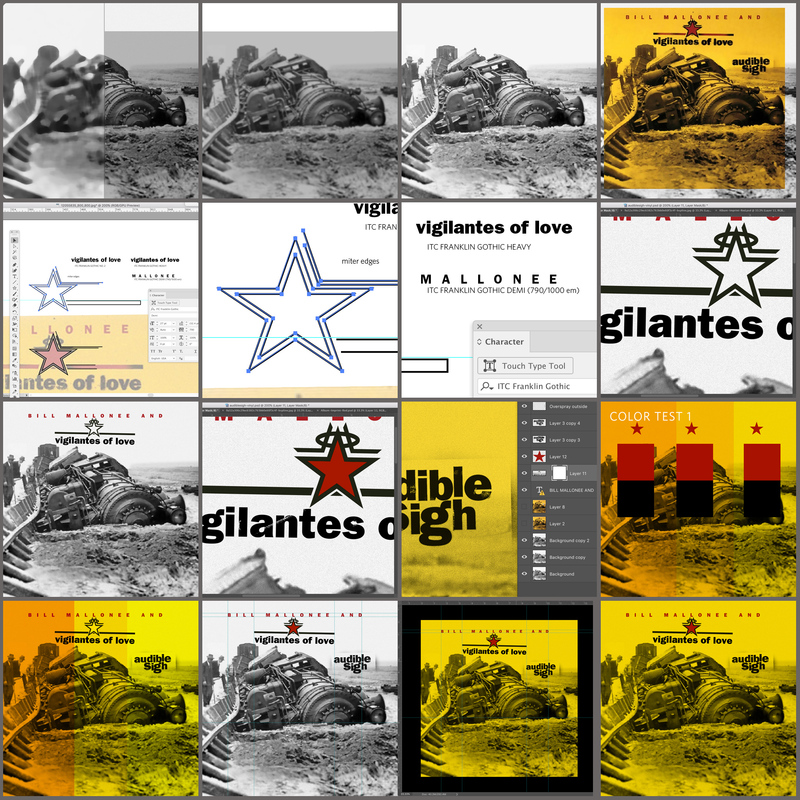 I then set out on a multiple-month journey to recreate the cover and re-interpret the inside art as a 12″x12″ four-panel gatefold album jacket. The work progressed slowly, in the margins of my time, usually in the evenings. I reconnected with Lex Thompson who fortunately still had the digital copies of the band photos. I researched and rediscovered an archival photo of questionable resolution that I had sourced and licensed in 1999—by a now-defunct company—as a fitting cover photo. 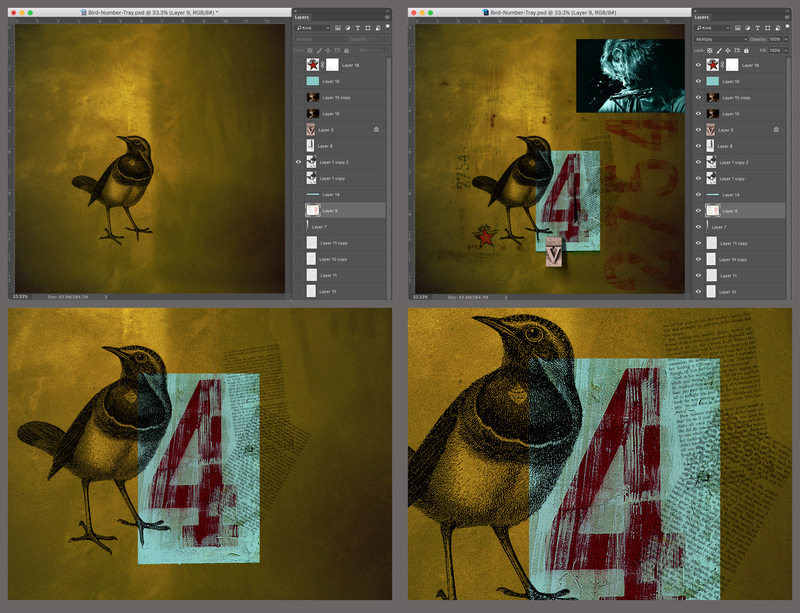 I digitally re-created the typography, distress-marks, stencil overspray, and logo, and scoured my archives to find the pieces and parts of the back cover: a scrap of a wall texture, a scan of a mechanic’s claim card number, and a public domain woodcut of a bird. 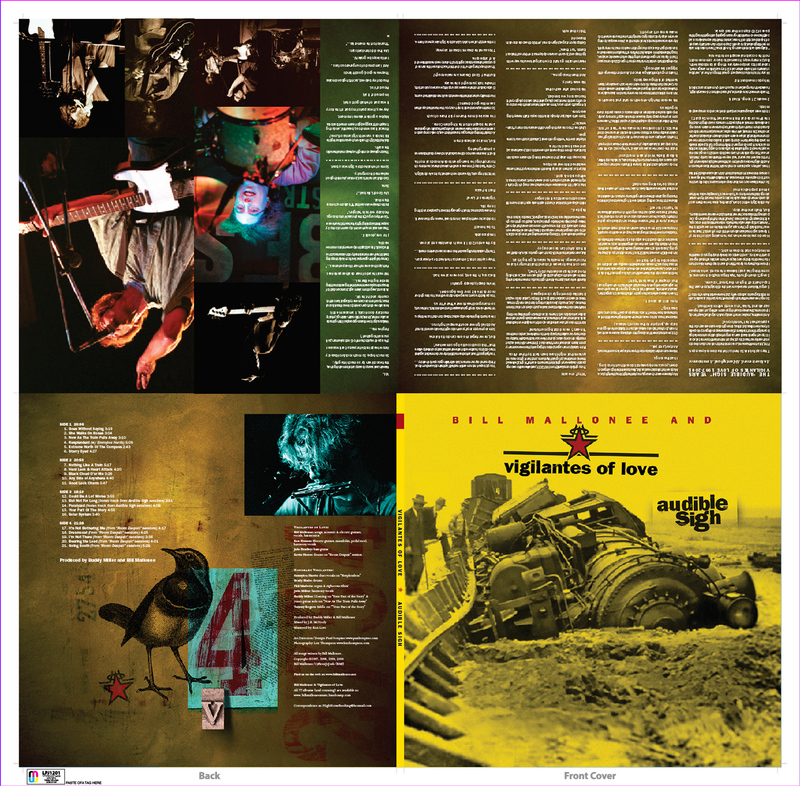 These were all reassembled as the album took shape. Easter egg: in the original tray card, the two scraps of paperback text were inscrutible; this time around, I knew that the 12″ x 12″ footprint would mean some fan would be examining the art to see what the text said; I decided to recreate them using pages from Frederick Buechner’s Godric, a story dear to both the songwriter and me.